This is a walk in the Peak District through one of the National Park's least known dales - Coombs Dale. Starting at the village of Stoney Middleton, it's an excellent wander. 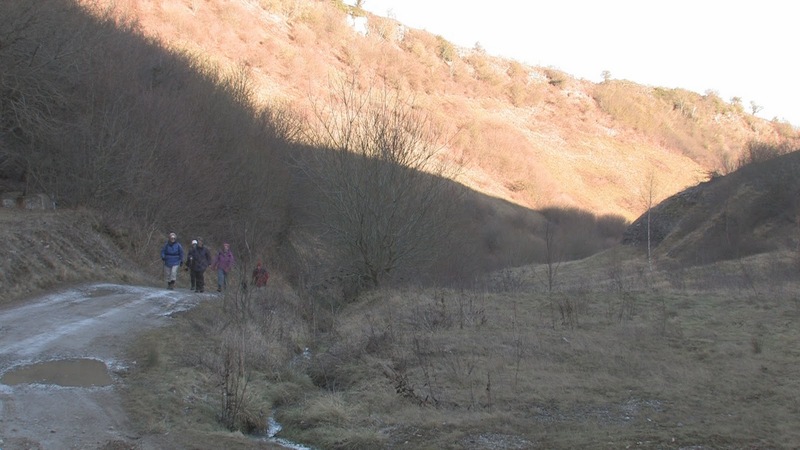 The full description of this walk is on our website here, which provides information about the length of the walk and its suitability for different people - along with the walking video. From the car park, turn right and head along the busy A623. Cross over to the far side when the path on the pub side disappears. Carry on desending until the entrance to the quarry is on the right. Cross this entrance road with care, and carry on down the bridleway, making a trek towards the A623. On the right, around 600 foot from the road junction, is a footpath going past an Electricity Substation. Follow this path and enter the most surprising part of this walk - a cliff-top trek across the top of Middleton Dale - with even high rock formations to the left. Heading back into Stoney Middleton passes "Lovers Leap" on the far side of the road. Carry on through the village, ready to enjoy that drink and possibly a meal, at The Moon. Let us know here if you attempt this walk - and if you do, please leave us some photos on our Facebook page.